Halloween is right around the corner and while the kids have a lot of fun dressing up, they don’t really let me have a say anymore in the costumes they pick. 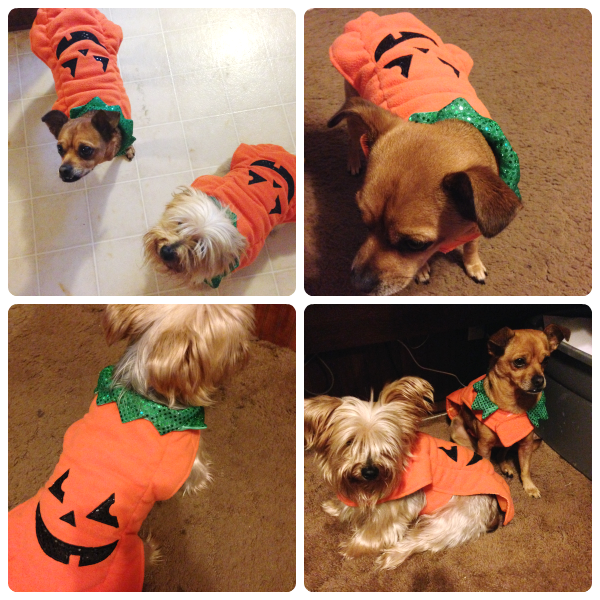 However, all hope is not lost because I have two fur babies who will let (though they don’t really get a say at all) me pick a costume for them each year! It’s so much fun to watch my kids dress up, but I have to admit it might be even more fun for me to get the Halloween costumes for dogs! This year, I decided they could be adorable little twin pumpkins. Seriously, how cute are they, though getting them to cooperate with me for photos was like pulling teeth!!! Of course they are trying to hide their faces, I think they may be embarrassed a bit! 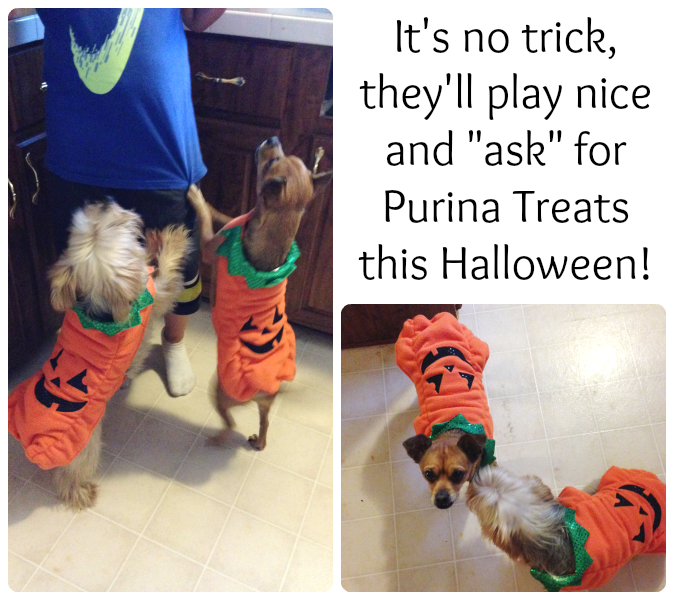 Our dogs can take part in the fun by dressing up in Halloween costumes for dogs, right along with my kids, at Halloween. While our dogs won’t actually go trick or treating with us, they will get their very own treats from mom and dad for being good sports! Just like our kids, they deserve treats too. Just like our kids, we want the best for them, which is why we stick to Purina for our their treat needs! Tasty treats, from a brand we know and love! The entire time we have had our dogs, Purina is the go to brand for their treats, their favorite are the Purina Beggin’ Strips! 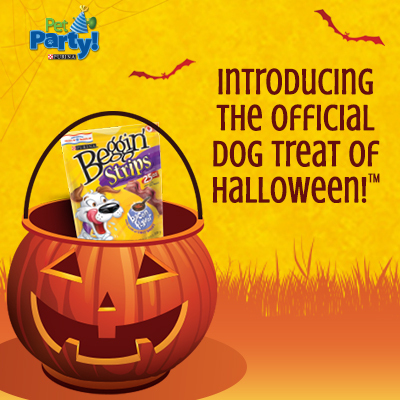 Celebrate Halloween this year with Beggin’ – The Official Dog Treat of Halloween™! Head to the Purina Pet Park where you can play the Treat Seeker game for a chance to win one of 25,000 treat samples for your pet! That will be one treat your dog will do tricks for!!! While your there get to know the full array of Beggin’ and Purina Pet Treats! They’re the perfect way to “treat” your dog or cat this Halloween season. Have you ever dressed your dog up for Halloween?? Now, to help out with your doggie costumes and those treats, you can enter to win 1 of 5 Walmart gift cards! Enter using the form below!